Free Historical Romance + Cozy Mystery! 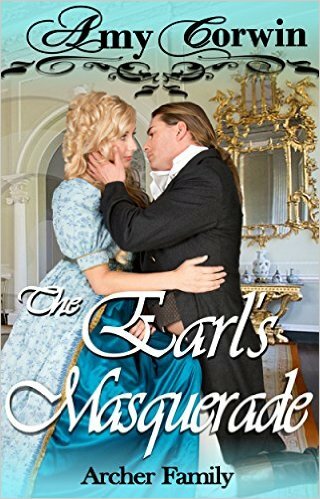 *The Earl’s Masquerade: Featuring Helen Archer (The Archer Family Regency Romances Book 4) by Amy Corwin. Price: Free. Genre: Historical Mystery of the Day, Sponsor, Cozy Mystery, Victorian Romance, Regency, Romantic Comedy, Inspirational Romance. Rated: 4.3 stars on 29 Reviews. 337 pages. ASIN: B007LT42F2. Reviewers: It is rare to find a book which combines romance and mystery with success, and this was one of them! Light, likeable and entertaining! This is a delightful book for a lazy winter day! I enjoyed it immensely! Everything was so quirky and I had some laugh-out-loud moments! I was pleasantly surprised by the story and look forward to more from this author!